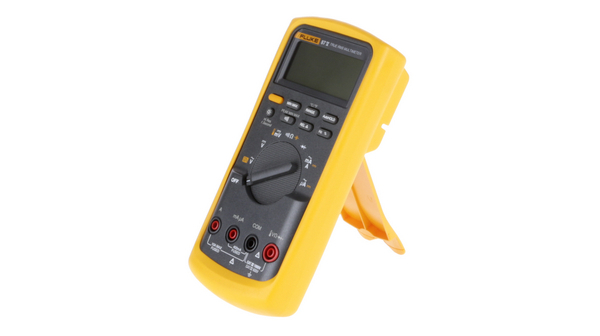 Do you need it calibrated? Learn moreabout our premium ISO calibration service. 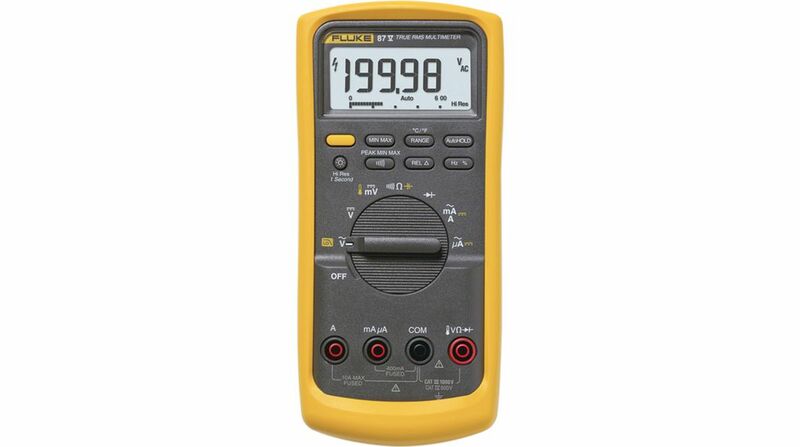 Please provide as much detail as possible regarding item 176-08-755, Fluke 87 V True-RMS Industrial Digital Multimeter FLUKE 87 V.
From the control room to the plant floor, the Fluke 80 Series family of digital multimeters has earned its reputation as the digital multimeter industrial technicians trust. 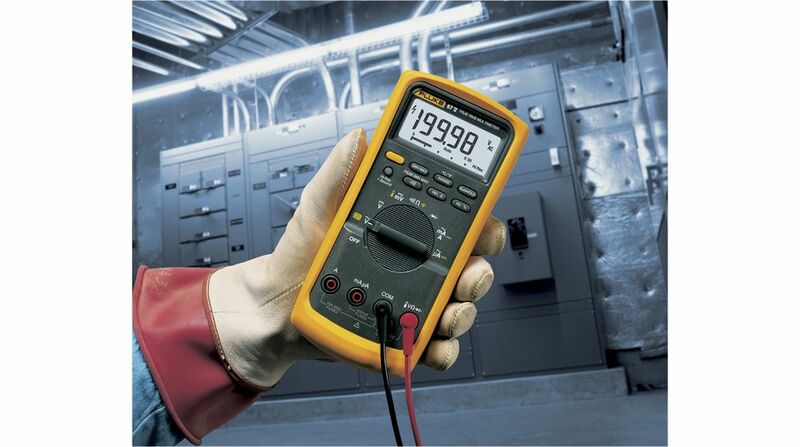 When productivity is on the line, the Fluke 80 Series delivers the accuracy and advanced troubleshooting capabilities you need to solve problems fast. 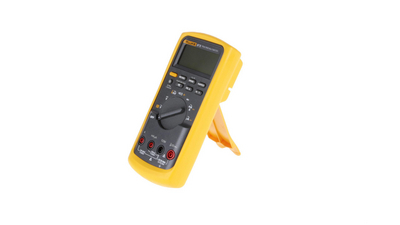 Use its low pass filter function to measure voltage and frequency accurately on electrically “noisy equipment like adjustable speed motor drives. Use the peak capture function to detect intermittent problems and transients as fast as 250 micro seconds (us). And work with confidence. The Input Alert function gives you an audible warning against wrong use of input jacks. 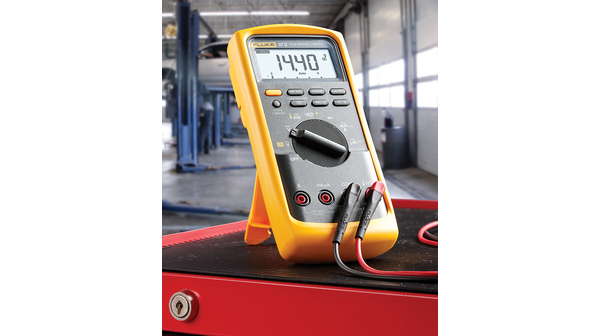 Fluke 80 Series multimeters are independently tested for use in CAT IV 600V/CAT III 1000V environments. 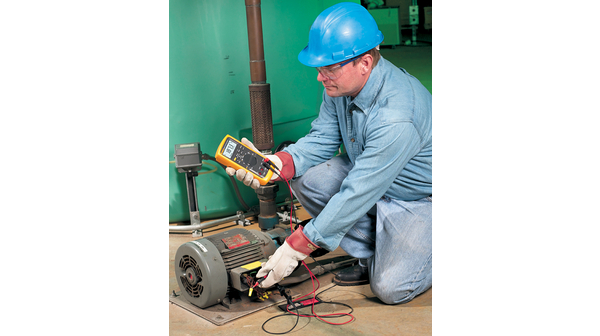 They can withstand impulses in excess of 8,000 V and reduce risks related to surges and spikes. 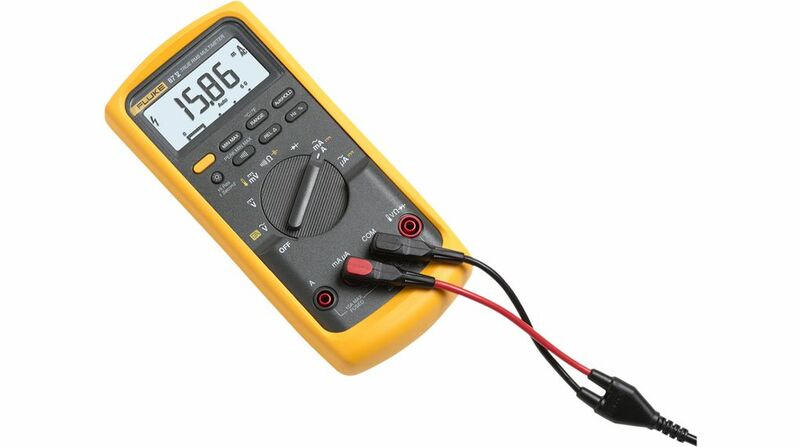 All inputs are updated to the 3rd edition of ANSI/ISA S82.01 and EN61010-1 CAT IV 600V and CAT III, 1000 V. They can withstand impulses in excess of 8.000 V and reduce risks related to surges and spikes.